These charts are from the Pew Research Center. The top chart shows some good news. 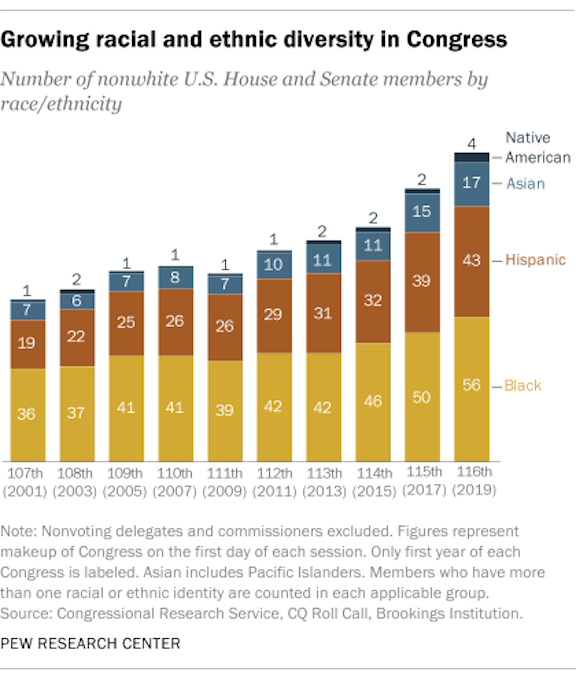 For the fifth Congress in a row, Congress has become more ethnically diverse. The 116th Congress is the most diverse Congress we have had in this country. That means the Congress looks more like the actual make-up of the country's population than ever before. But there's also a bit of bad news. 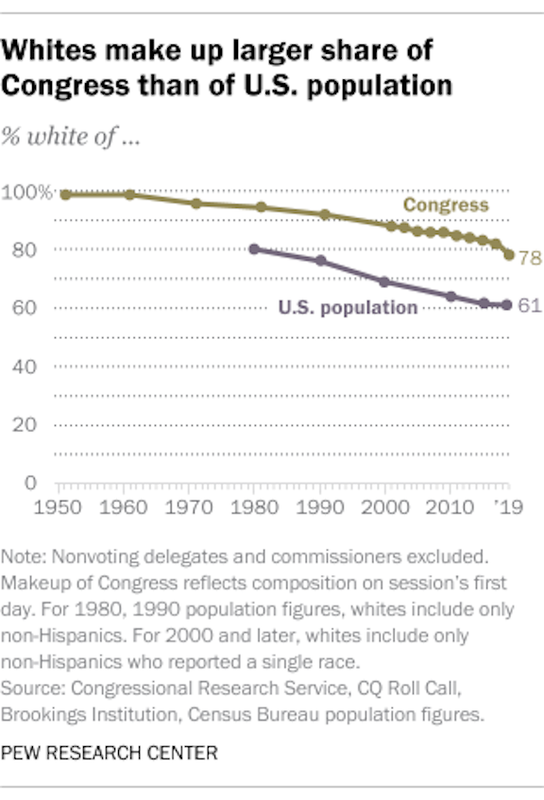 Whites still make up more of the 116th Congress (78%) than their percentage of the U.S. population (61%).